promises. They have their words posted on their desks which will provide inspiration and focus for us each day during the Lenten season. Stations of the Cross: My students are also working hard with our other grade 6 class on the many different activities involved in producing their “Stations of the Cross Video for Children”, 2015 version. This will include using chalk pastels to create their station in art, practicing to read their Station reflection and using the camera to shoot their tableau. 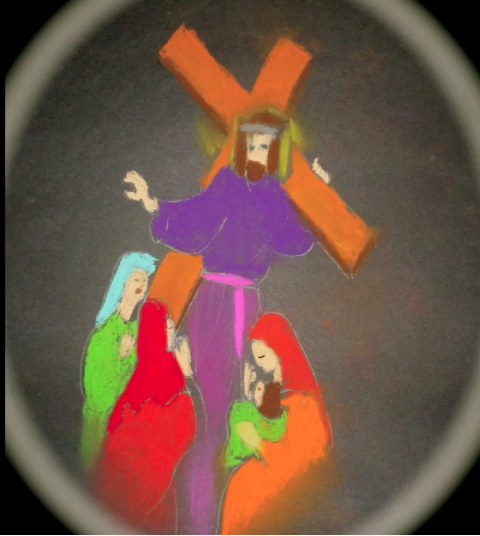 Our school community will watch our video on Holy Thursday at our church. 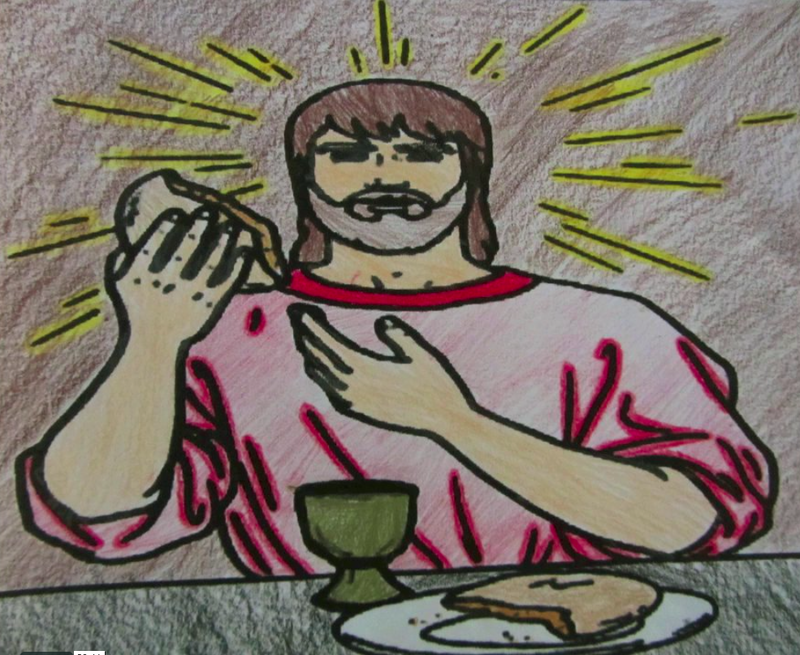 Jeremy’s Egg: On Holy Thursday I always read the story “What was in Jeremy’s Egg”. It teaches the story of Easter in an incredibly powerful way, which is also easy to understand for students at my age level. 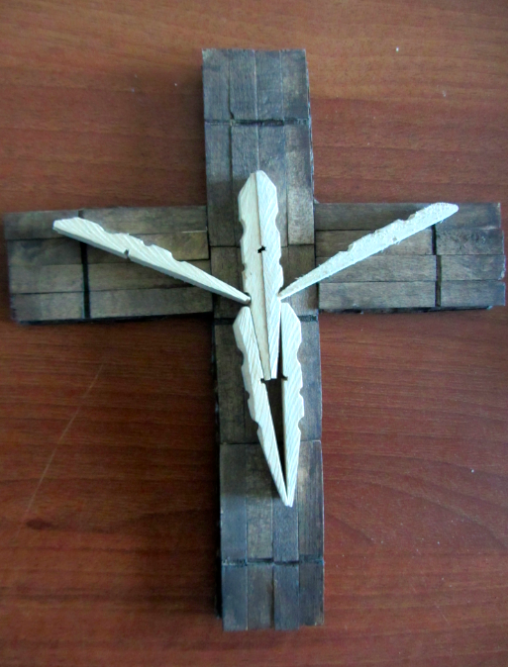 Clothespin Crucifix: I have my students create these simple but effective crucifixes to take home during Holy Week. Instructions coming soon! 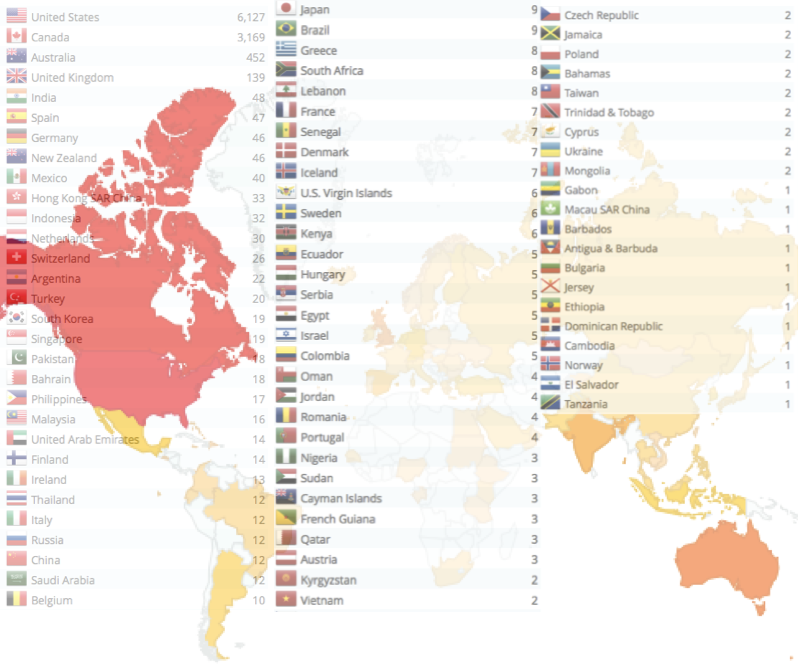 Please SHARE this resource with others!